Liven up your event with beautiful flute and cello music with these experienced and top notch musicians. The sublime combination of flute and cello is versatile for any occasion. The additions of guitar and piano can be requested. We play classical or popular music for any type of affair. With our low maintenance set up & break down and ability to perform in the background or foreground, we will add artistic elegance to your special event. We provide perfectly tempered background music at special events, or foreground music for wedding ceremonies, cocktail hours, and receptions. We are also able to play at various other types of events, from fundraisers to funerals to parties. We have an easy set up and breakdown, and transport all of our own instruments (including keyboard). 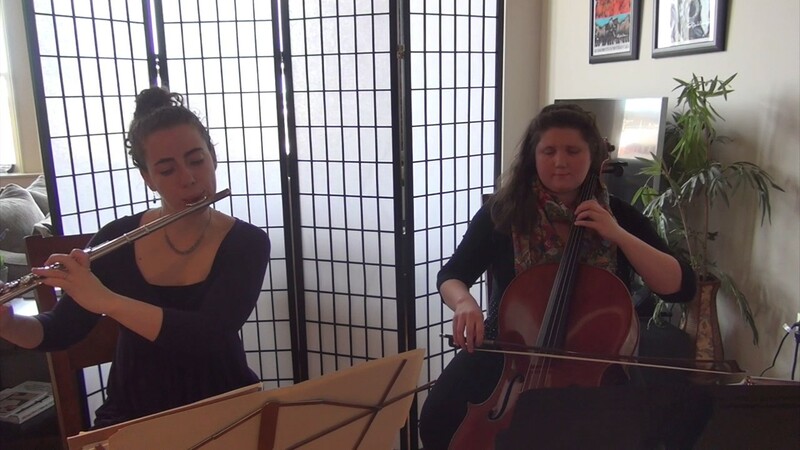 The Codo Duo consists of flutist Elizabeth Erenberg and cellist Danielle Karppala. They met in York, Pennsylvania, where they are both freelance performers with regional orchestras and chamber groups.